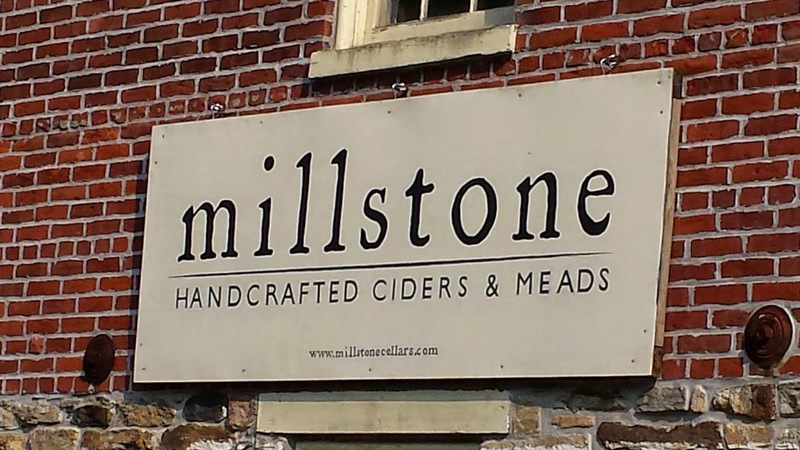 Ever since the 2013 Drink Local Wine Conference, held that year in Baltimore (Maryland Wine country), I've been trying to visit Millstone Cellars, a unique cidery located north of the city in Monkton. 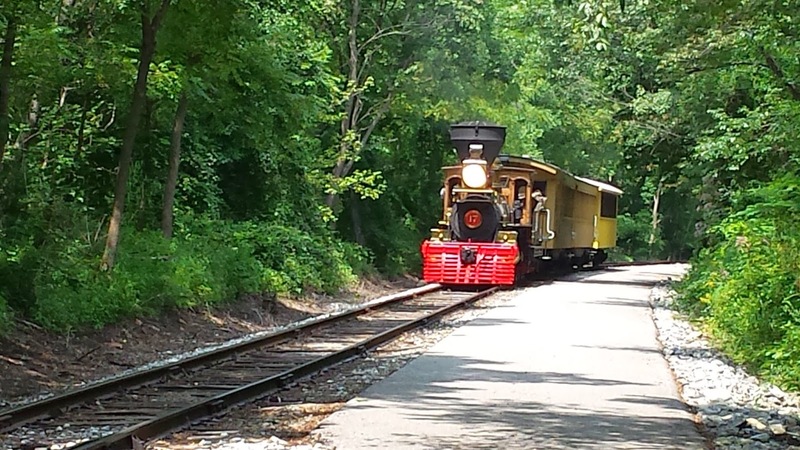 This weekend presented an opportunity and after a little research I discovered that Monkton is a stop on the Torrey C. Brown Trail, a converted rail line which runs adjacent to the Gunpowder River into Pennsylvania. Once in the Keystone state, the York County Heritage Trail commences giving cyclists 41 miles of trail -- 20 in Maryland, 21 in Pennsylvania. Time for a bike ride. Using theCompass, I saw that three Maryland wineries were near Monkton (Royal Rabbit Vineyards, Woodhall Wine Cellars, Basignani Winery) but not close enough to the trail for an easy side trip. I did find, however; a Pennsylvania brewery, Gunpowder Falls Brewing, located in New Freedom - the source of the Gunpowder River. 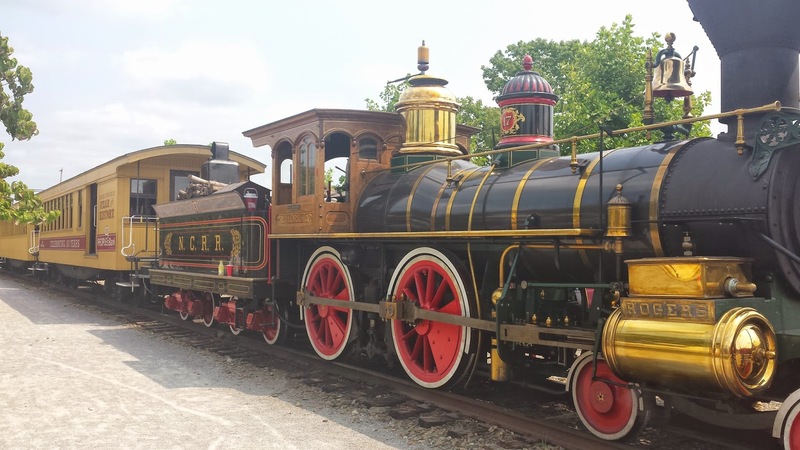 Plus New Freedom is home to The William H. Simpson #17, a replica of the Civil War steam locomotive that carried Abraham Lincoln to deliver the Gettysburg Address, which now rides along the York County Heritage Trail to York. Monkton is located just after mile marker 7 on the Torrey C. Brown Trail, so I parked alongside the tubers and started pedaling north. The trail is an easy ride, the steepest sections are only 2-3% grade. There are restrooms every few miles, but the general store in Monkton is the only food shop until New Freedom. The trail itself is packed gravel and dirt; my hybrid had no problems and I did see several road bikes throughout the day. 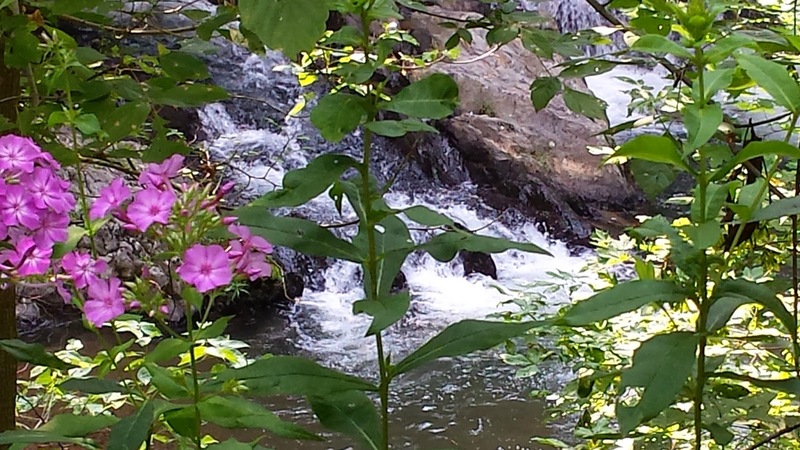 The river flowing nearby is soothing and provides a nice landscape for the ride. When reaching New Freedom, I stopped to peek at The William H. Simpson #17 and get a quick snack at the Trail Museum and cafe. Finding the brewery became a bit of a challenge since its 3.5 miles off the trail. Start by going east on W. Main Street and then turn left on N. Constitution and cycle along this rode for 1.7 miles. Turn left on S. Main Street then a right on E. Tolna Road. Enjoy the mile downhill ride, because you will need to pedal up on your return trip. Just before a mile, turn right on Elm and the brewery entrance is on the backside of the warehouse. 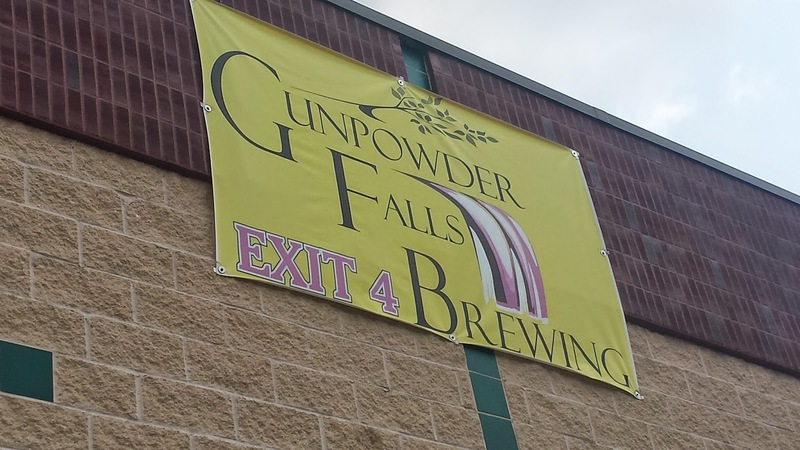 Gunpowder Falls Brewing is an American-German craft brewery operated by brewery Martin Virga. Virga received his brewer training in Germany then returned to the states to help start the Capitol City Brewing Company in Washington D.C. and later the Ellicott Mills Brewing Company. He started Gunpowder Fallsto focus exclusively on traditional German style lagers. Each batch is brewed according to the Reinheitsgebot (German Purity Law of 1516) which dictates that only water, malt and hops may be used in brewing beer. The role of yeast came centuries later. 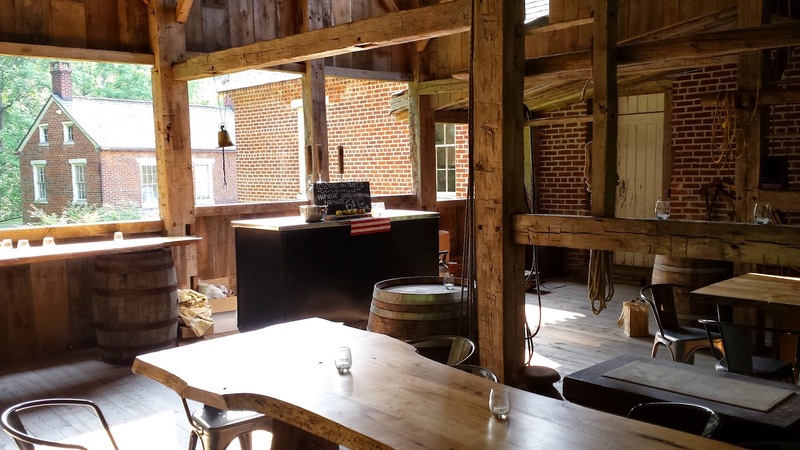 When I arrived at Gunpowder Falls Brewing, they were serving three beers, a Pilsner, Dunkel, and Helles. I started with the later, clean and refreshing - a very nice representation of a standard lager. Over bratwurst, I slowed down with a Dunkel, a sweeter beer with plenty of malt flavor. Knowing I had a hill to climb, I just sampled the Pils, noting the hoppier character of this beer. These are solid beers and glad to see classic lagers featured. The return ride back to Monkton was quite easy - once I made it back to the York trail. With the decreasing grade, the return trip was much faster. Millstone Cellars is not far from the trail (.4 miles), take a left on Millstone Road - a couple short hills - then take a right to remain on Millstone. 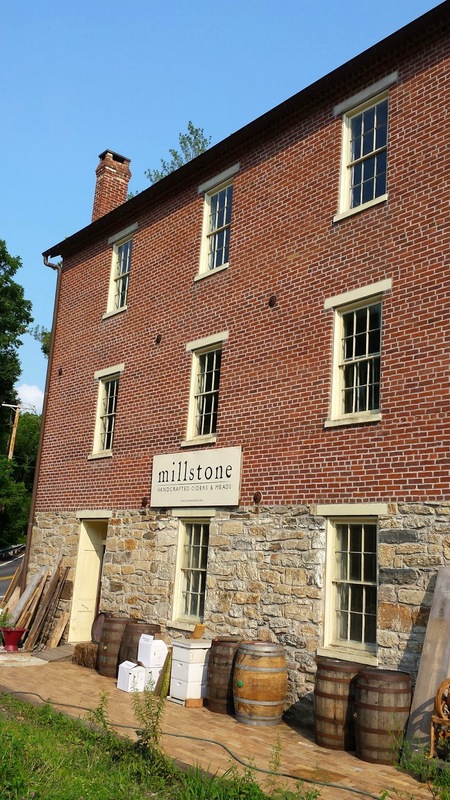 You can't miss the refurbished Monkton Mill, an old, 1840′s circa grist mill that Millstone calls home. The cidery is owned and operated by the father-son team of Curt and Kyle Sherrer. You won't find traditional ciders and meads here; instead the two focus on artisan versions of each. Let's start with my favorite, Hopvine ($16), a cask cider (York Imperial) aged with Maryland grown Cascade hops and blended with a little raw honey. The Farmgate ($16) is about as close a traditional cider you will find - distinct that it is unfiltered Jonathon, Stayman Winesap, and Smokehouse apples fermented and aged in American oak barrels. Dry, flavorful, and tart. The latest find is Thistle ($20), a session sour mead from wild and belgian ale yeast and aged in oak for almost a year. Love the acids and unique sour flavor. This mead is another representation how Millstone is pushing the boundaries of traditional recipes adding interesting aspects from other brewing techniques. 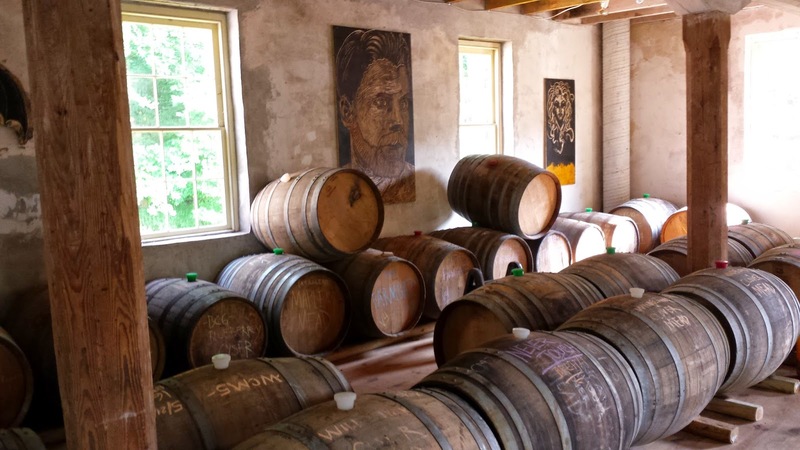 Besides these three there are several other ciders and meads available - like the Sidra Americana, Rhuberry, Peche Cyser, Spruced, Gingeroot, and several more concoctions aging in the mill. Cheers to that.